Dr Luke McDonagh, an Intellectual property expert in the City Law School says that a relatively unassuming announcement issued by the government concerning patent law suggests that the UK government’s Brexit policy is not as tough than the rhetoric suggests. Ever since Prime Minister Theresa May insisted that the UK would, post-Brexit, escape the jurisdiction of the Court of Justice of the European Union (CJEU) in her speech at the Conservative Party conference in October, it has been assumed that the UK was on a path to a “hard Brexit”. This is because full membership of the EU single market – the current UK position – requires acceptance of the supremacy of EU law and the EU courts’ jurisdiction. Similarly, the key “soft Brexit” option – membership of the European Economic Area, along the lines of Norway –also requires effective acceptance of the bulk of EU laws. In fact, the goal of wholly escaping the jurisdiction of the CJEU would force the UK to pursue a hard Brexit option, such as leaving the single market entirely, and simply negotiating “access” to it. Yet, a relatively unassuming announcement issued by the government concerning patent law suggests that the UK government’s Brexit policy is a lot softer than the rhetoric suggests. Since 2012 the EU has been making preparations for the biggest change to the European patent system since the early 1970s. The most important reform is the setting up of a new Unified Patent Court (UPC), common to participating EU member states. Importantly, the UPC will have jurisdiction to hear patent disputes and issue remedies to litigants that are binding within an area covering almost the entire EU single market. This is a huge change from the awkward present system, which requires national litigation in each individual member country. So far, 25 out of the 28 EU member states have agreed to join the UPC, with Spain, Poland and Croatia the only ones not participating. The UK has been firmly on board since 2012. The court will include judges from the UK, Germany, France, the Netherlands and other EU member states. Until the Brexit referendum, the UK seemed to be well on the way to full ratification of the UPC. Indeed, for the past four years the UK government has been making plans to host one of the new court’s central divisions in Aldgate, east London, where a building has already been leased. Mock patent trials have even taken place at the venue. For this reason, it was widely expected that the UK would not ratify the UPC agreement and that the UPC would go ahead without the UK, with Milan or The Hague taking over London’s UPC central division. Yet the UK government astonished the legal world by announcing that the UK would ratify the UPC agreement after all. The UPC can now go ahead and is expected to be up and running at some point during 2017. The UK’s decision to ratify is all the more surprising given that the UK government has chosen to do so with full knowledge of the June 23 referendum result and what the consequences of ratification are. Of course, as some have suggested, Brexit planning behind the scenes could well be a shambles. But if, as the government insists it isn’t, then ratification makes no sense if the goal is a hard Brexit: while it will still be possible for the UK to break away from the UPC in a number of years’ time, post-Brexit, the UK would have to do so by abandoning a fully functioning court system, featuring its own judges, that may have already become popular with UK businesses and inventors. By contrast, a decision not to ratify the UPC would – at this point – have signalled that the UK was serious about the hard Brexit strategy. The ratification only makes sense if the government intends to remain a member of the UPC for the foreseeable future, which means that it intends to accept the jurisdiction of the CJEU in EU-related patent matters post-Brexit. This could be good news for British inventors and businesses, especially for the UK’s burgeoning life sciences industry, as the London UPC division will have a specialist focus in this area. From this perspective, it leaves the hard Brexit strategy in serious doubt. It is now inevitable that the government will come under pressure to keep other areas of business well within the parameters of EU law – the City of London’s precious “passporting” ability in the area of financial services is one notable example, and the import/export of motor vehicles is another, as evidenced by the government’s recent “sweetheart” deal with Nissan. And if the government pursues a sector-by-sector approach it means the entire Brexit process will take many years, perhaps more than a decade, with huge swathes of EU law still binding on the UK during that period, and perhaps thereafter. 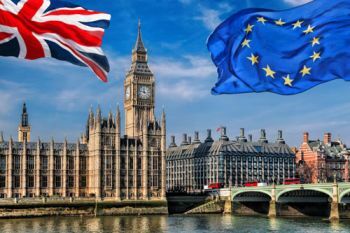 Ultimately, the UPC ratification decision – along with the recent Nissan deal – are the first important signals that Brexit will, in reality, be quite “soft” even if the rhetoric continues to be “hard”. The European Patent Office (EPO) is one of the two organs of the European Patent Organisation (EPOrg), the other being the Administrative Council. The EPO acts as executive body for the Organisation while the Administrative Council acts as its supervisory body as well as, to a limited extent, its legislative body. The actual legislative power to revise the European Patent Convention lies with the Contracting States themselves when meeting at a Conference of the Contracting States.